To the chagrin of overly aggressive marketers and other irritating folks, Instagram is making it easier for users to silence individual accounts. With a new “mute” button, Instagram users can effectively hide posts from particular accounts, without having to officially "unfollow" them. “Everyone has to find the line between being a spammer and not being a spammer,” says Ian Wishingrad, founder and creative director at agency BigEyedWish. For Instagram, the changes are part of a broader effort to keep users happy. In March, for example, it introduced changes to simplify their browsing experience. Wishingrad calls it a brilliant strategy, and one that more tech companies are embracing. “This is also going to give Instagram some very valuable user data,” Wishingrad added. 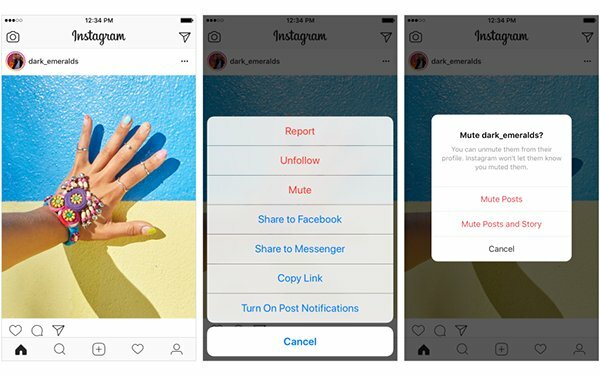 Now, when Instagram users mute an account, they can still see posts on that account’s profile page, as well as get notified about comments or posts in which they have been tagged. Complicating matters for marketers, accounts have no way of knowing that they have been muted by users, according to Instagram. Wishingrad suggests this is by design. “Why would Instagram want to discourage brands from creating content?” he asks. 1 comment about "Instagram's New Mute Button Lets Users Avoid Messages Without Unfollowing". Douglas Ferguson from College of Charleston, May 23, 2018 at 9:59 a.m. So ignorance is not bliss?